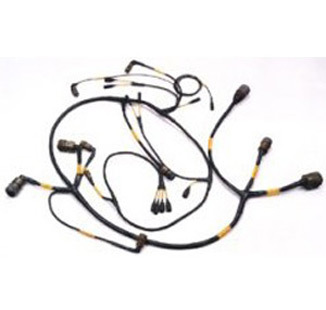 Wire harness assembly designs and cable assemblies for Defense Contractors and the US Government, as well as a variety of lighting for military vehicles, have been produced by The Aurora Cord & Cable Company for over 40 years. Our company has a excellent reputation for producing quality products and we are MIL-I-45208A certified. Our customers include: The United States Government, General Motors, General Dynamics, United Defense, AM General, Oshkosh Truck, Stewart & Stevenson, Caterpillar and John Deere. ACCC takes great pride in our wiring products and in our ability to meet the needs of our customers from the most intricate designs requiring special molding and connectors to the simple single conductor leads. ACCC can also assist our customers during the product design phase due to our extensive engineering experience. Through the use of the most modern manufacturing approaches, ACCC can go from design/quoting to production with minimal lead time. ACCC produces for both the military and the commercial market.